Perfect bottle to store excess or spare 2 stroke. Must have if your running a pre mix on road easliy holds 250ml of 2 stroke oil and fits under most seat storage compartments. 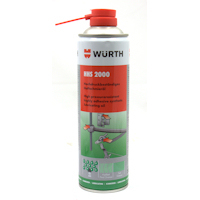 Also great for measuring oil to fuel ratio's as it measures in 50ml levels most importantly the numbers are embossed up the side of the bottle so petrol will not rub the numbers off like on some bottles and measures. The oil catch pan is the ideal tool for home servicing your bike. A must have tool to catch your old oil during an oil change. Comes With a hanging chain and hook for gravity feed. 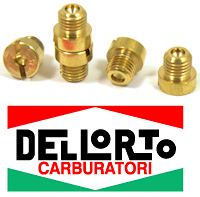 Includes fuel line and in-line fuel tap. 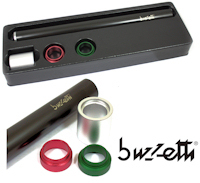 Made in Italy by Buzzeti. 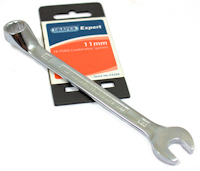 Emergency tool kit, consists of adjustable pliers,spanners (10,12,14 and 17mm),allen and cross head screw-driver, plus 12mm and 17mm socket head. 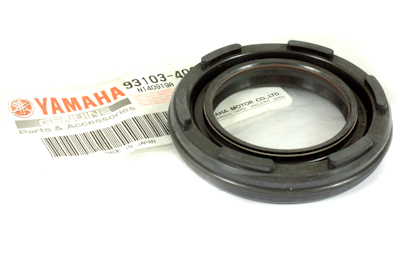 Also Fits the Aprilia RS50 1999 to 2006. 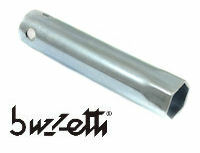 Buzzeti Deep Reach Spark Plug Socket Wrench 21mm 120mm long. 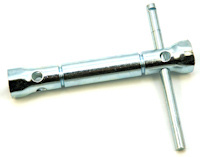 Ideal to have in any tool box for removing hard to reach spark plugs. Features An Interchangeable Head With Four Different Heads To Choose. Will Also Switch From Internal Pull To External Type Pull. 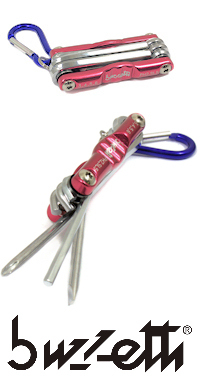 One Tool For All Types Of Cir-Clip. THIS WILL NOT FIT THE 122 TYPE ENGINE ! Inner Rotor Extractor For The Aprilia RS 125 ITALKIT Racing Ignition. 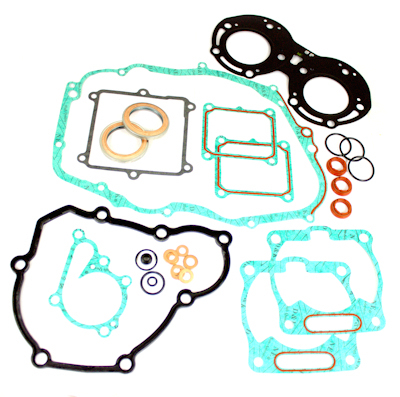 Will Also Fit Selettra,Malossi And Stage 6 Race Ignitions, And For Disassembling Puch - Minarelli - F. Morini Clutch Body. Professional Quality Socket Manufactured From Chrome Vanadium Steel Hardened, Tempered And Chrome Plated For Corrosion Protection. 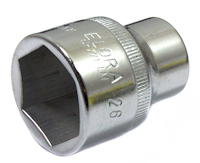 Chamfered End Allows Positive Nut Location And Entry. The Moto GP Premium Rear Paddock Stand Is A 1pc Solid Construction This Means That The Stand Is Manufactured From 1 Piece Uncut Continuous Tubing. It Comes Supplied Ready-To-Use And Does Not Require Assembling. 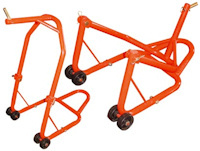 This Superior Production Method Minimises Potential Weakening And Movement Of The Stand, As Compared To A Conventional Multi-Part Paddock Stand. The Stand Is Constructed From 32mm OD Cold Rolled Steel @ 1.4mm Wall Thickness And Incorporate Internal Reinforcement Steel Plugs For Increased Stand Stability And Strength. The Moto GP Premium Paddock Stand Feature Robust, Oil Resistant, Injection Molded Polyurethane Wheels For Ease Of Movement, And Are Complemented By A Durable Black Powder Coat Finish. 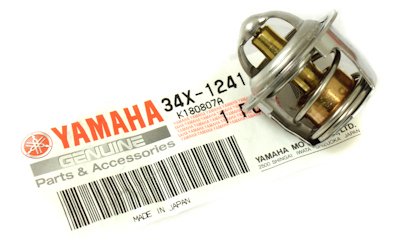 The Stand Comes With "Bobbin" Hooks Which Is To Be Used In Conjunction With "Bobbins" Also Known As "Bobbin Spools". Over Sized Box Sections Make These Stands Extremely Durable And Rigid. Easy Self Assembly Construction 3 Bolts Securing Each Side Section To the Handle Base. Secure Paddock Stand With Rubber Non Slip Wheels. The Moto GP Style front head stand folds out to enable a motorcycle to be lifted by the front steering head tube.This offers maximum access to the front end for all repair,cleaning and maintenance work. 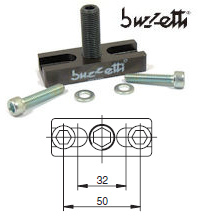 Each stand is supplied with a kit of 5 of the most popular sized head lift pins covering 90% of motorcycles. 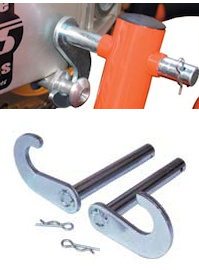 Bobbin hook adaptors replace standard cup adaptors, allowing you to lift the bike by the bobbins instead of swing arms. 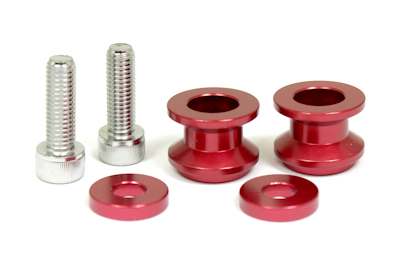 These Are Alloy Bobbings For The RS125 For Use With A paddock Stand. 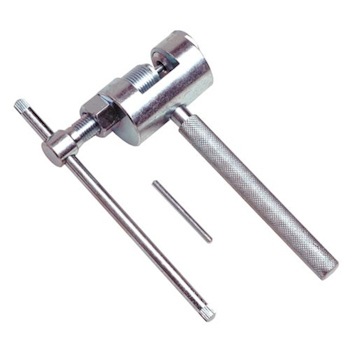 Just Tap Out Your Hole In Your Swing Arm To 8mm And Fit. 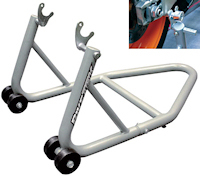 A Fitting Guide can be found on our forum by clicking here..
Aluminium Race Paddock Stand manufactured from ultra lightweight aluminium over-sized tubing offering a robust and sturdy build quality. These are serious upgrades from standard steel paddock stands! 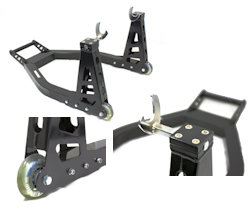 The locking bobbin fork mount and light weight make it especially suited for track and paddock use where speed and ease of use is essential. 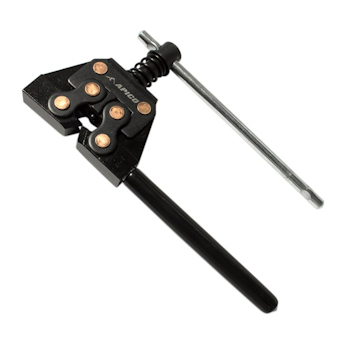 The BikeTek front head stand folds out to enable a motorcycle to be lifted by the front steering head tube.This offers maximum access to the front end for all repair,cleaning and maintenance work. 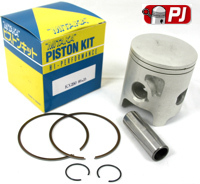 Helps Find Faults With Piston Rings, Cylinder Bores, Head Gaskets And Crankshaft Seals. Dual Calibrated 0-300psi / 0-20bar. 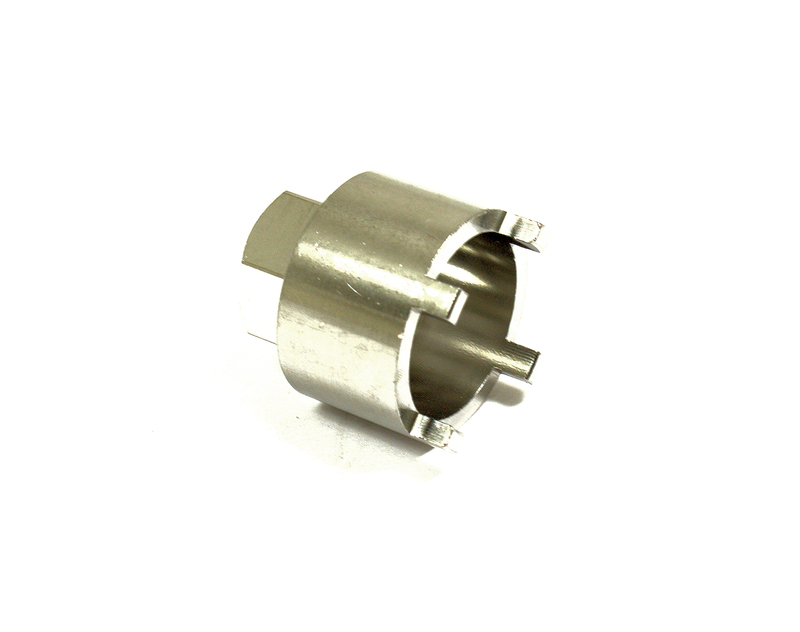 Has a 14mm Thread Which Is Standard On Most 2 Stroke Bikes And Includes 18mm Thread adaptor. 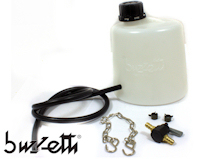 Buzzeti Piston C-Clip Remover Pliers Designed for removal and instalation of piston c clips. 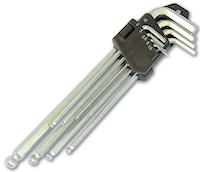 Pliers Designed for removal and installation or turning of piston c clips from the piston.The tool has specially made heads Smooth on one side with one grove which allows a firm grip on piston pin clips that have no removal holes or tangs. Makes Removing The Clips On Chains A Cleaner And Easy Job, No More Slipping With Normal Pilers ! Not a standard size spanner found in common spanner sets but is an essential size if trying to remove your Aprilia RS 125 cylinder. 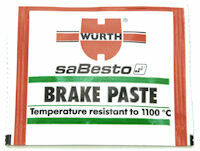 Suitable to check tyre tread depth, brake shoe and disc pad wear. Large LCD display. Metric/Inch selectable. Manual power on/off. 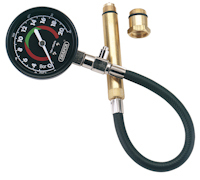 Digital readout pressure gauges set in an ergonomic module. 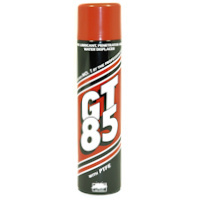 GT85 is a general purpose cleaning/lubricating spray. 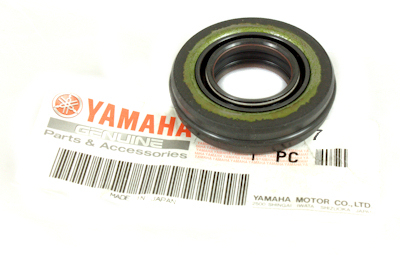 GT85 can be used in motorcycle maintenance. 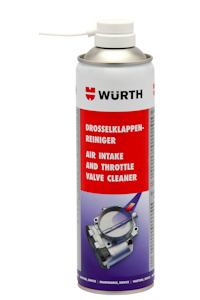 GT85 protects and lubricates and starts damp engines. 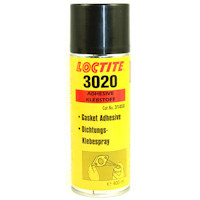 It will protect paintwork, woodwork, vinyl, plastic and chrome. GT85 will ease cycle transmissions, bearings, hubs, brakes and cables and after the action, spray on after cleaning down for total protection, avoid your brakes of course! 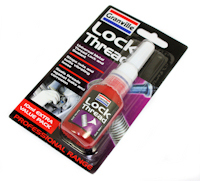 GT85 is a strong penetrating oil and will free rusted bolts, hinges, door and window gear. 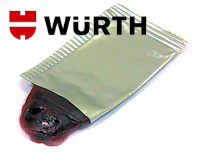 With its CFC-free propellant, GT85 is environment-friendly and is ideal for anywhere non sticky lubrication is required. 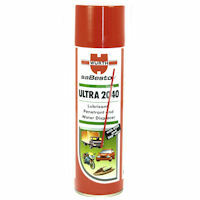 A cost-effective spray-on / hose-off bike cleaner suitable for all street and off-road bikes, quads and ATVs. 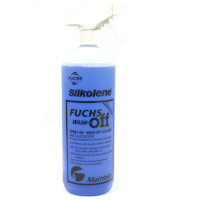 Specially designed to rapidly remove all types of dirt from metals and plastics with minimum hands-off effort. 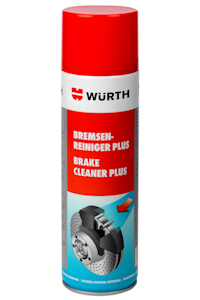 Incorporates the latest detergent technology to clean unprotected aluminium alloy components, without any corrosive effects for that elusive, gleaming factory finish again and again. Perfect amount for re greasing seals.